First time buyers could be eligible for help to buy their own home in Dinas Powys via Aspire2Own, a low-cost home ownership scheme run by ourselves in partnership with the Vale of Glamorgan Council. Four new homes will be available at The Woodlands in spring 2019. These two-bedroom homes will be offered on a 70% shared equity basis which allows buyers to legally own 100% of the property for 70% of market value. The purchase price of the homes is to be confirmed. 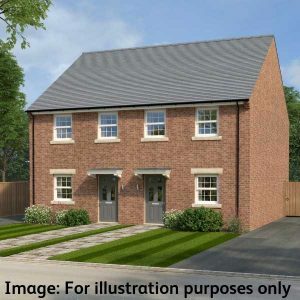 The Aspire2Own scheme is a great opportunity for first time buyers who want to get a foot on the property ladder but can’t afford to buy a home on the open market. Buyers pay 70% of the total house price with Hafod providing an equity loan for the rest and buyers do not have to pay any rent. Have access to a deposit, usually a minimum 5% of the property value. Full details of all the homes we currently have for sale can be viewed here. Alternatively, property details, eligibility criteria and how to register can be found on the Vale of Glamorgan Council’s website here. You can also find details of how to register your interest for future developments in the Vale. For more information please email lcho@hafod.org.uk or call 0800 024 8968. Is your rent affordable to you? © 2019 Hendre Limited | Cookies, Copyright and Legal Information | Registered under the Co-operative & Community Benefit Societies Act 2014 No. 29386R. Registered with the Welsh Government No. L132.